Sridharan Gururangan, FRCP (Edin. ), received his medical degree in 1981 from the University of Madras Chennai, India, proceeded to train in pediatrics in the United Kingdom and eventually became a Member of the Royal College of Physicians, U.K, in 1988. He was subsequently elected to fellowship from the Royal College of Physicians in Edinburgh, U.K. in 2015. He became interested in treating children with cancer during his pediatric training in the U.K. and completed a leukemia research fellowship in Manchester, England. Dr. Gururangan moved to the United States in 1991 to pursue his interest in pediatric oncology at St. Jude Children’s Hospital in Memphis, Tenn. and the Memorial Sloan Kettering Cancer Center in New York where he completed his fellowship in pediatric hematology-oncology in 1999. Dr. Gururangan moved to North Carolina to practice at Duke University Medical Center as the director of pediatric neuro-oncology at the Preston Robert Tisch Brain Tumor Center. For 17 years, he treated more than 1,200 children with brain tumors there and led several innovative clinical trials through his interaction with other investigators nationwide. 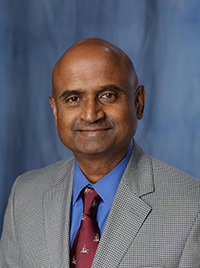 Dr. Gururangan joined the UF faculty as an endowed professor in the UF department of neurosurgery in 2016. 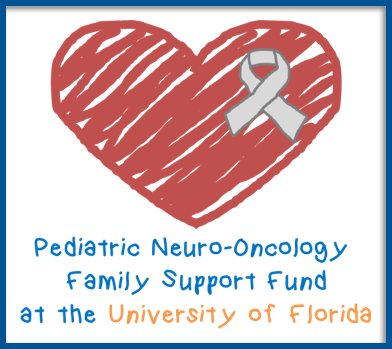 He also holds a joint appointment in the UF department of pediatrics. He is board certified in pediatric hematology-oncology and neuro-oncology. He is passionate about treating children with brain cancer and has been a resource and source of support for countless patients and family members. Dr. Gururangan’s research interests are in developing new strategies for treatment of children with brain tumors with a special focus in the development of phase I and II trials of new drugs, including novel chemotherapy agents, small molecule inhibitors targeting receptor tyrosine kinases, anti-angiogenesis inhibitors, pharmacologic strategies that lead to reversal of drug resistance to alkylating agents, immunotherapy approaches to the treatment of recurrent medulloblastoma, and oncolytic viral therapy for neoplastic meningitis. His clinical research has led to more than 100 peer-reviewed publications in prestigious journals, five book chapters and more than 115 abstracts presented at various national and international scientific meetings. Dr. Gururangan has earned several awards for his work with pediatric cancer patients, including the Excellence in Pediatric Clinical Research Award from the Society for Neuro-Oncology and two Shining Star Awards from the Make-A-Wish Foundation. Dr. Gururangan is a member of the Pediatric Brain Tumor Consortium and the Children’s Oncology Group.